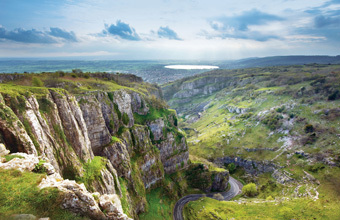 CHEDDAR Gorge and Caves has created three separate group and corporate packages, which draw on the skills and expertise of the Cheddar Gorge X-treme team. Adventure Abseiling, Corporate Caving and Rustic Rock Climbing are the packages now on offer to groups of five or more visitors to this world famous landmark. All packages includes a morning or afternoon of activities, with refreshments, a guided tour of Gough's Cave, free car parking and gift bag and an adrenalin-filled hour-and-a-half of X-treme activity: abseiling inside the caves; rock climbing in the Gorge; and caving for beginners. Optional extras for each one of the packages include group cheese-tasting sessions, team building exercises, additional Cheddar Gorge X-treme activities, and a tour of the Gorge on an open top bus.